By Álvaro Díez - PhD candidate and Piotr Małek. How to build a weight conversion table? Is weight a force? Are mass and weight the same thing? Does body weight really matter for your health? How to lose weight in a healthy manner? How to gain weight in a healthy manner? The weight converter tool on this web page is the best tool for converting between different weight units. We not only include a real-time weight conversion tool, but also a weight conversion chart ( weight conversion table) that allows you to convert, e.g., lbs to kg, kg to lbs, oz to stones and so on. At a glance. 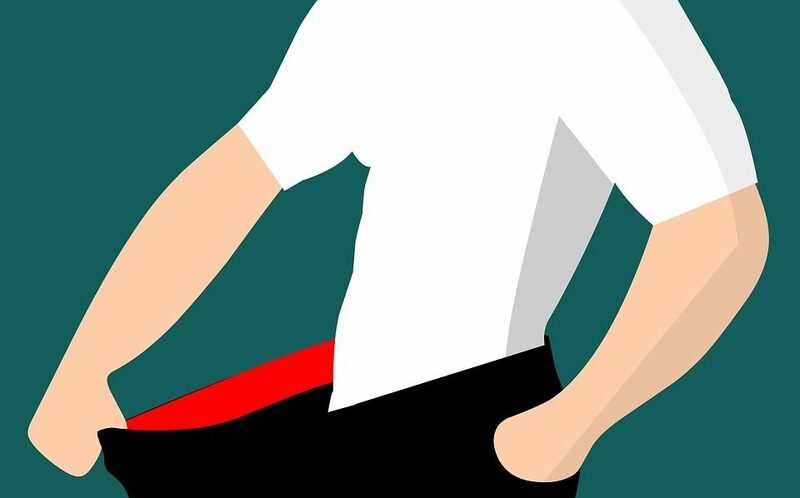 We will also explain in this article what is weight, discuss if weight is a force or not and even touch briefly on bodyweight, health issues and how to lose weight (and how to gain weight) for those who are interested. As with other physical quantities, there are several units systems to measure weight (mass). The most popular and widespread of them is the International System (SI) and its units like kilogram (kg), gram (g), decagram (dag). Another primary system of units is the Imperial System, with units such as the pound (lbs) and the ounce (oz). However, these are not the only units' systems used in the world. In the following text, we explain, in more detail, some of the most common units. Before we begin talking about weight units and how to convert between them, we need to issue a HUGE DISCLAIMER. The real (technical) definition of weight is very different from what we understand in our everyday life. Technically speaking, weight is a force, in particular, the force exerted by the Earth (or another planet) on an object. Therefore, it cannot be measured in kilograms, pounds, or tons, but only in Newtons and equivalent units. What we usually call "weight" in our everyday life is technically referred to as mass, and it measures the amount of matter in an object. The gravitational force that the Earth exerts on us is approximately constant. Thus, we can utilize mass and weight almost interchangeably by just multiplying or dividing it by the gravitational acceleration g that is on the surface of the Earth. If you still wish to know more about the real units of weight, they are the same as force. You can find most of them in our force converter and even play with the conversion tables as well. To avoid confusion or unnecessary complications, we talk about mass units, referring to them as weight units. We adopt the common way of speaking instead of the technical one. For those who would like to be more technical and precise, we remind that an object with a mass of 1kg on the Earth will weigh 9.8 N. But hereafter, we say that this object "weighs" 1kg. When it comes to converting from one weight unit to another by hand, it might be easy (e.g., to switch from kilograms to grams, you just multiply kilograms by 1000) or not so easy (like switching from lbs to kg or kg to lbs), but using the weight converter like this, you can take any difficulty out of the equation. stone (st) - 14 pounds. Often used to quote a person's weight mostly in the UK and Ireland. To quickly look through the conversions between main units, feel free to use weight conversion chart in the next section. Conversion charts and conversion tables are very helpful. They visually show you the equivalence between different units of any magnitude, not only weight. For example, there exist similar conversion tables for lengths like in our length conversion tool or the temperature conversion tool. However, if you're wondering how to convert between grams and cups, that's not the right place - go to our grams to cups tool. Why we didn't implement it right here? Because it's conversion from weight to volume, for which you need to know a density of a product as well. For a full list of Omni conversion tools, you can visit the OmniCalculator converter section. To quickly find values expressed in multiple units you can use our weight conversion chart (weight conversion table). Below, we attach probably the most standard weight conversion chart available, which compares kilograms, ounces, pounds, and stones, making it easy to convert from kg to lbs, from kg to ounces and so on. We remind you that weight conversion charts can include any number of units based on your needs and likings. The weight conversion table shown above is just one example that includes 4 of the most common units and a range of values that includes those used frequently. The table above includes only 4 out of 15 units we have available in this weight conversion tool. To build your own, choose the desired units from the drop-down menus, and type in the desired values. Our calculator will return results in real time in each of the other three units. If you are interested in converting more than one value, you can repeat the process and even create your own weight conversion chart by writing down all the values for each conversion in a similar fashion as shown above. 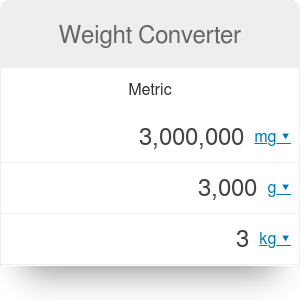 Weight conversion between metric units is quite basic and for normal numbers can be performed without any table - e.g., 1 kilogram = 1000 grams or 1 ton equals 1000 kilograms. Things get a bit more complicated when using the imperial system. Here, for example, 1 stone = 14 pounds which equals 224 ounces. Conversion between systems is even more complicated! This conversion calculator might be very helpful there, because, e.g., 1 kilogram = 35.274 ounces, 0.15757 stones, and 2.2046 pounds. The pound is probably the most used imperial unit for measuring weight, especially in countries that have adopted the International System such as the US, UK, and Canada. The pound has its origin in the Roman unit of weight called libra. Hence, the abbreviation is lb. From there, it evolved into the British pound (with various definitions and values) until what we now know as the pound. An important remark about the pound is the fact that in the beginnings, it was used to measure both, force and mass, which should not surprise you if you have read the disclaimer above. When the difference between mass and force was understood, the pound was divided into pound-mass and pound-force depending on what quantity they measure. As we have explained before, they are both pretty much equivalent as long as we stay on the same planet. Recently, the value of the pound doesn't vary from place to place. It has been legally regulated to a fixed value for everyone, everywhere. Since in science, SI-units are used, and (as you will see in a moment) they put much effort into perfectly defining the kilogram, it is natural to define the pound in relation to the kilogram. The pound is legally defined in terms of the conversion lbs to kg as 1 lb = 0.45359237 kilograms which leads to conversion from kg to lbs of 1kg = 2.20462 lbs. It is easy to understand where the name stone comes from historically. It dates back to the times when people measured the weight of objects by putting a similar weight of stones on the other side of a Roman-style balance. With the evolution of measuring techniques, the unit got standardized to what is now the stone, meaning that its value does not depend on the size of the stone you chose anymore. The stone is used mostly in the British Islands and Ireland, most commonly to measure people's weight rather than as an everyday unit. You might weigh 20 st because you ate too much for too long but, ironically, you would measure the weight of your food in pounds. The definition of stone is officially 1st = 14 pounds = 6.35029318 kg. The last unit, we explain in detail, is the ounce because it is the final piece of the Imperial System units "puzzle". 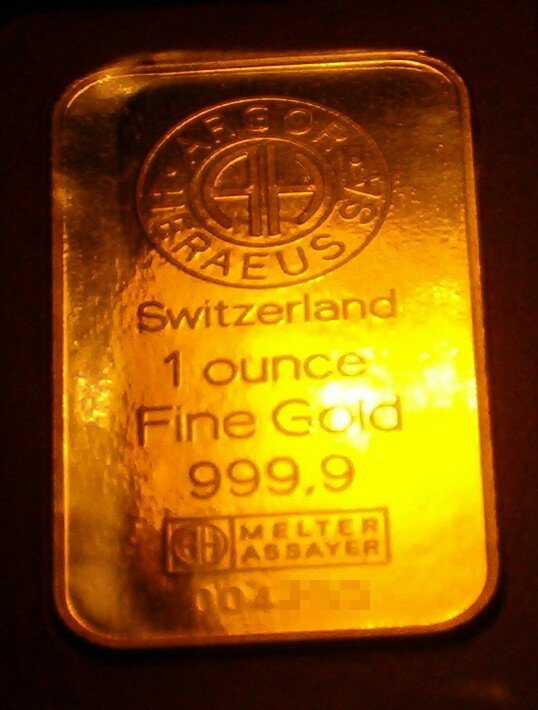 Just like the stone and the pound, the ounce has a historical and customary origin which means that for many years people used the ounce unit with no standardized value across all regions until fairly recently. Once people understood the importance of being able to communicate between regions, countries or continents efficiently, the ounce also got a proper definition. The definition of the ounce, however, is much easier to do within the Imperial System, since the ounce is defined as 1/16 lb. From there, you can convert from lbs to kg to obtain the SI value of an ounce. It is possible to do it the other way around to get ounces from kilograms. You need to convert from kg to lbs and then to ounces. The equivalences are as follows: 1 lbs = 16 oz = 0.45359237 kg and 1 oz = 0.0625 lbs = 0.0283495 kg. We have seen some of the units used for measuring weight. Now let's dive deeper on how the kilogram unit is defined. To begin the story, you need to remember that it all started for the need of standardization in a world where people have measured lengths with their own feet and weighed with arbitrary stones. The necessity for a common unit that will always measure the same amount in every part of the world was clear. This is how the scientific quest for the perfect standard begun. A perfect scientific standard should not only be always the same for everyone (like following a reference design) but one defined by nature itself and one that we could always refer back to, even if everything in the world would get destroyed. The first definition of the kilogram was the weight of a liter of water. Which is already better than "the weight of stone" but still has problems. Some of them, due to the fact that the density of water changes with temperature and pressure, making it necessary to set some common values for those magnitudes as well. However, the big problem is that the definition includes other human-made units, meaning that if you lose the definition of a liter (or you get it wrong), the kilogram won't be correctly defined anymore. 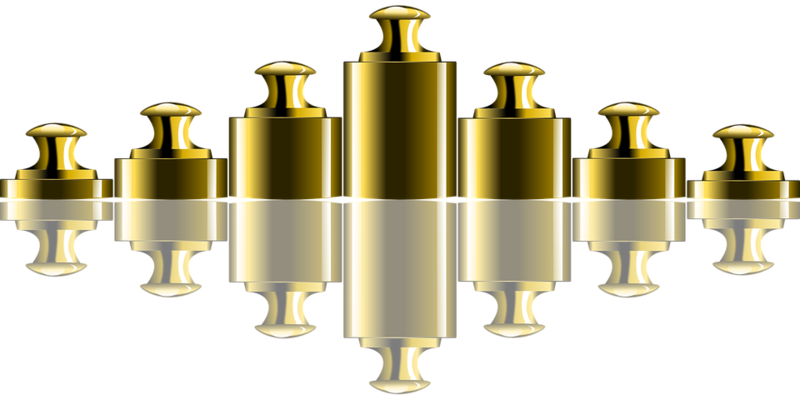 Even today the kilogram is still defined based on a piece of metal safely stored in Paris, with copies all over the world. However, this won't last since there are currently two approaches by different scientists to redefine, for once and for all, the kilogram. The first approach is to define the kilogram in terms of Planck's constant and Avogadro's number, using an electromagnetic balance and some clever physics. The second approach (which you can see in the video below) uses the purest, most perfect sphere of Silicon to obtain the amount of Si₁₄ that are contained in precisely one kilogram. We would then have a new definition of a kilogram in terms of the number of Silicon 14 atoms needed to achieve such weight. It is important to note that this won't change the actual value of a kilogram or how we convert kg to pounds. It would just give us a way to re-create a kilogram (and all other units) even if we lose the reference kilogram, or if we move to a different planet, where the conditions might be very different. We have mentioned before that mass and weight are not the same, but we can treat them as the same quantity as long as we stay on the Earth. Now, you will see a very classic example that will help you understand why this is the case. The experiment we will deal with is the famous Galilean free-fall experiment. 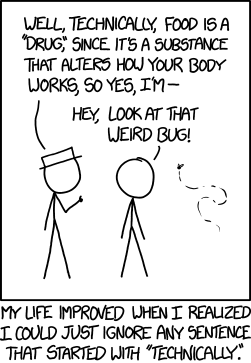 Let's consider the experiment without any air resistance first. Briefly explained, the experiment consists in dropping two objects with the same weight from a certain height. In the case where there is no force of friction (air resistance is zero), both objects should land at the same time. To learn more about the experiment itself we recommend checking out our free-fall calculator since here, we will focus on the relationship between force and weight. We avoid talking about the experiment of free-fall with air resistance because in that situation the shape of the objects becomes important. Also, you would have to watch out for changes in air density. All this would only take you away from the important factors that we want to talk about: weight, mass, and gravity. The reason we can talk about weight and mass in our daily life is that they are both proportional. Let's see that with Newton's second law. This law states that the force and mass are proportional to the acceleration for any object. F = m * a where F is the force (for us it is the weight), m is the mass of the object, and a is the acceleration which for a falling object is g or the gravitational acceleration. The important part of this experiment is that for all objects on the Earth, the acceleration downwards will always be the same, appro ximately g = 9.8 m/s². This means that the weight F and the mass m are still not the same thing, but they are exactly proportional so you can convert weight into mass and vice versa. Well, that is not true. If we move from one planet to another, it starts to get a bit more complicated. In the next section, we will talk about this scenario which should also help explain the difference between mass and weight in a clearer way. We have already seen that mass and weight are interchangeable if we stay on the one planet, like the Earth because the value of gravitational acceleration remains the same. However, when we move from one planet to another the value of g changes, and so the relationship between mass and weight. This makes it impractical to talk about weight in units of mass (from lbs to kg, through grams and stones) and we need to be more careful about the technicalities. Let's see how this happens. Each planet has a different composition in terms of, e.g., mass and radius. That means, the gravitational acceleration isn't the same, and an object (with the constant mass) has different weight depending on the planet it is on. If you don't believe us, you can see this effect in our weight on other planets calculator and even prepare a planet weight conversion table for yourself. However, this time, it will convert weight on one planet to the weight on another, instead of converting pounds to kg. In practical terms, this all means that even though the mass of one body doesn't change on various planets, the weight does. So if you would like to keep talking about weight in kilograms, you will need to specify also the g value on each planet, which makes it less convenient. One exception would be if we found a planet with the same size and mass as the Earth. This planet will have the same density. Another instance in which the mass and the weight can change independently is when we get submerged in a liquid, such as water. In this case, the value of g is the same all the time, but a new effect comes into play - buoyancy. It is a force that liquid exerts upwards on a body inside of it, so it counteracts the gravitational force (weight). You can learn more about the buoyancy and its properties in our buoyancy calculator. You probably already know this phenomenon under the name of Archimedes principle and the story on how he helped the king recognize a counterfeit golden crown just with water. 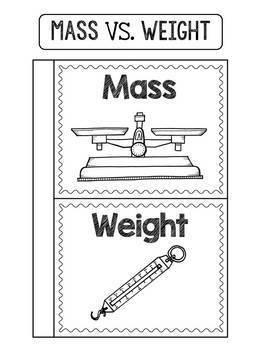 So far we have discussed weight, how to use the weight converter, different weight conversion tables, and weight units. Basically, we have talked about weight (or mass) as a physical quantity, that is just from the physics point of view. However, the most interesting aspect of weight is that relating to our body weight. From beauty to the health aspects, weight and body weight is something that matters most of us. It is such a broad topic that it would take several days worth of reading to cover it exhaustively. Nonetheless, since you are already here and this topic might matter a lot to you, we would like to mention some key points. We are confident that you can find very helpful information in our health Calculators and sports section. 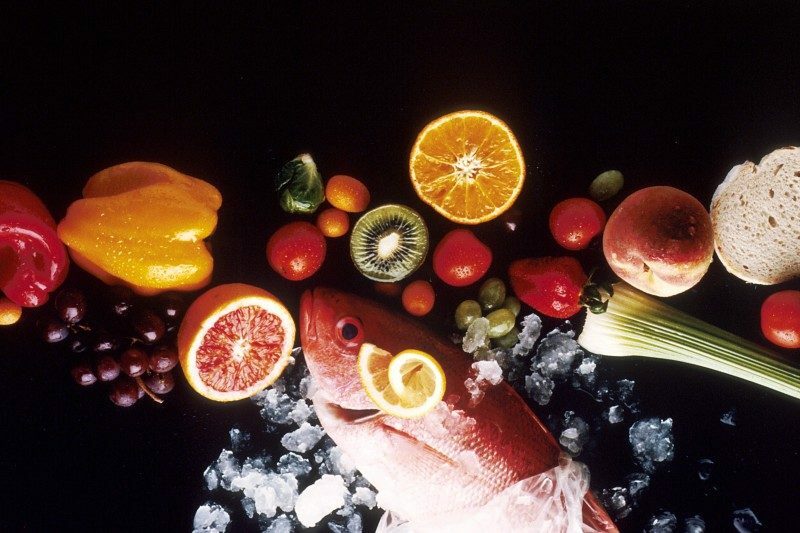 As a rule of thumb, more activity and a healthy diet are always good for your health. Commuting by bike is very healthy for you and for the environment as you can see using our car vs. bike comparison tool. Walking is also advisable, but by far, the best thing you can do for your health is quit smoking. We provide you with some help with our smoking recovery calculator that will show you how much longer you will live after making the change. What is the connection between body weight and health? There are several indicators that can help you get an idea of whether you should be concerned about your health or not. One of the most common is the BMI indicator which gives healthy and unhealthy ranges for the body weight with respect to height. Alternatively, you can learn more about your "ideal weight" using our ideal weight calculator. Despite being widely used, BMI is not the "be all and end all" indicator since, for example, many high-level athletes tend to rank "obese" in such a marker. This is because it doesn't measure the amount of fat in your body (which is the main risk factor) so that the amount of water in your body (which you can estimate with water calculator by body weight) could also affect your BMI as can muscle. The best option is to get a body composition exam. You can also estimate your lean body mass using our calculator. Moreover, if you can get such a body composition exam, why not compare how you would stack up compared to some elite forces using army body fat calculator? The desire to lose or gain weight comes hand in hand with caring about your health and physique. The only correct way to do it is following professional advice. However, as we've said before when talking about body weight, there are several broad guidelines that are generally accepted as healthy ways to lose weight: watch your diet and exercise. Let's see how some tools can help you in such efforts. For the weight loss, we divided the tools into two different sections: diet and exercise. To properly lose weight, we would advise doing both with moderation, but any of them on its own should still yield results. To lose weight by means of controlling your food intake, we would recommend a fantastic calculator we made here called food calories that will help you be mindful of what you're putting in your body and adapt it to your needs. If you are serious about losing weight, you need to weigh your food, at least until you get a sense of how much food weighs. It is also important to control your macros for weight loss since not all calories are equally healthy and you always need at least a bit of everything. It is one of the reasons that, e.g., eggs, chickpeas, and kale are so popular recently. As a small bonus, we would recommend checking our food calculators like the marvelous egg boiling calculator that will help you get those eggs perfectly cooked to your liking every single time. On the other side of how to lose weight, we have exercising, which not only helps you lose weight but also make you healthier overall. For the weight loss, there are two approaches to exercising: steady state cardio and High-Intensity Interval training (HIIT). Steady state cardio helps you burn more calories overall as well as make your body slimmer in the long run. These exercises include walking, running for weight loss and cycling for weight loss. Heck! You can even start catching pokemon if you're still into that. These types of exercises are typically long and low-intensity efforts that help your body burn more fat than it would normally. A great example (and a huge milestone for those looking for a challenge), is the marathon, about which you can learn more in our marathon pace calculator. The problem with these types of exercises is that they require much time and can even get boring for some people. That's where HIIT comes in handy. These are short but very intense exercises done in quick succession with short periods of rest in between. This type of exercises include weight lifting (or technically mass lifting), and they burn more fat per minute than cardio. HIIT exercises usually lead to muscle gains so even if your overall weight doesn't drop as much as with pure cardio, some would argue it's even better cause it helps you look better and be more capable in general. Typical exercises include squats, deadlifts, curls (of many types) and the ever-popular bench press. As for how to gain weight in a healthy manner, the general advice is the same: watch your diet and exercise. However, there are some caveats as to what specifically you should do. When it comes to eating you should be aiming for taking in more calories than your body will burn so that you can get heavier. The key is to still eat healthy so that you can build lean body mass and not just fat. As for exercising the general advice is to prioritize HIIT type of training over cardio. That doesn't mean only to do HIIT or that you cannot gain weight without going to the gym, but the "iron church", as some call it, is probably your best option. However, running and cycling can still be used for gaining weight. You should focus on the short-intense sprints rather than long miles. 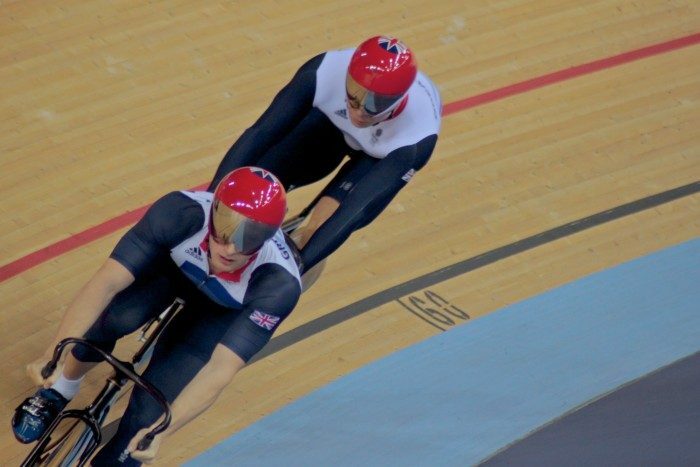 An example of this is very high cycling wattage competitions such as track events where athletes have to perform around their zone 4-5 of their cycling heart rate zones. For anyone who disagrees with this, look at the picture of the cyclist above. Álvaro Díez - PhD candidate and Piotr Małek. Weight Converter can be embedded on your website to enrich the content you wrote and make it easier for your visitors to understand your message.